Waterproof! 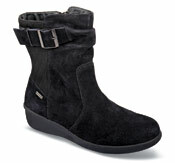 The “Lillian” boot from Aravon is made of waterproof materials and seam-sealed to keep winter out. The 13½-inch tall shaft has a stretch gore and convenient zipper closure. Lined with faux fur and insulated with 200 gm. 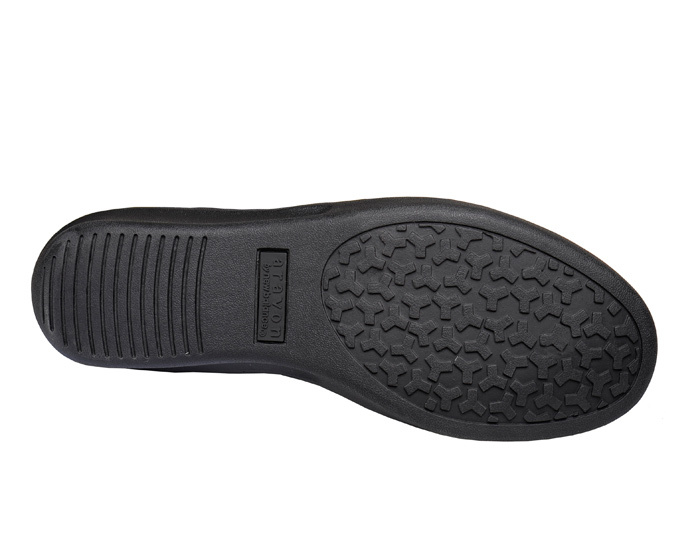 Thermolite®, the boot has a removable EVA-Memory Foam footbed and a TPR rubber outsole with 13/8 inch heel height. 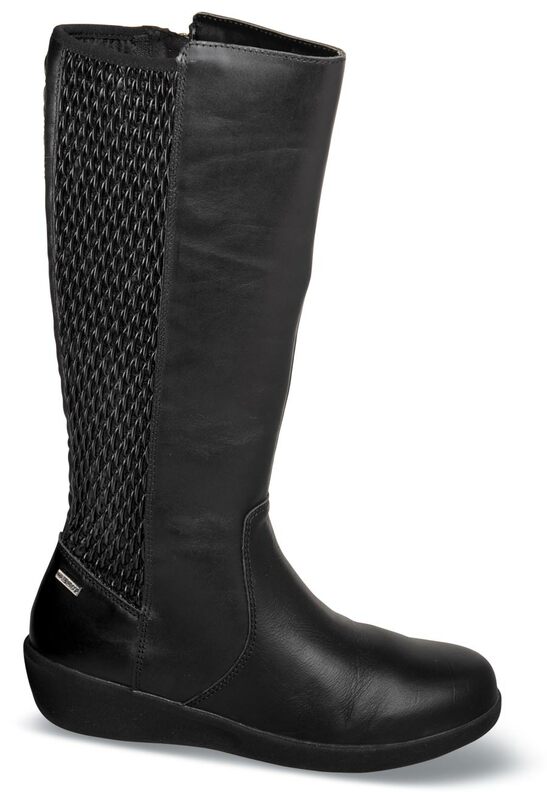 Originally $179.95. Limited stock in women's 2E width in sizes indicated.